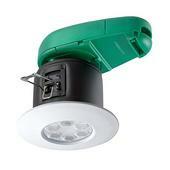 The LED6 Fire Rated LED Downlight from JCC is the successor to their LED7 range. The fittings are suitable for fitting into shallower ceiling voids than was possible with earlier models and the elimination of the need for mineral wool insulation and firehoods or firegates means great reductions in installation time and costs. 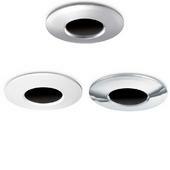 The downlight has crystal clear engineered lenses to provide an even and smooth light distribution. A focussed beam is produced by the combination of six individual lenses focussed to improve light distribution. The LED6 superbly addresses the issue of being able to get a huge amount of required technology into a limited space without compromising on performance. The LED6 range has been designed to offer adequate room for the optimum sized heat sink together with a separate housing for the electronics. 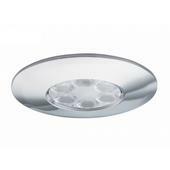 This unique design has helped the LED6 become one of the market leaders in fire-rated downlights. A ten year extended warranty is available on this range of downlights and they are fully fire tested for 30, 60 and 90 minute ceilings.